Chimamanda Ngozi Adichie was born in Nigeria in 1977. She has a successful list of works starting with Purple Hibiscus which was her first novel written in 2003 and followed by Half of a Yellow Sun in 2006, which is set during the Biafran War. The Thing Around Your Neck was a short story collection written in 2009. “My writing comes from melancholy, from rage, from curiosity, from hope.” (quote from Chimamanda Ngozi Adichie during a lecture at Princeton University, 20 October 2010 – The Writer as Two Selves: Reflections on the Private Act of Writing and the Public Act of Citizenship) That is very clear in her writing. That’s what makes it sincere and palpable. 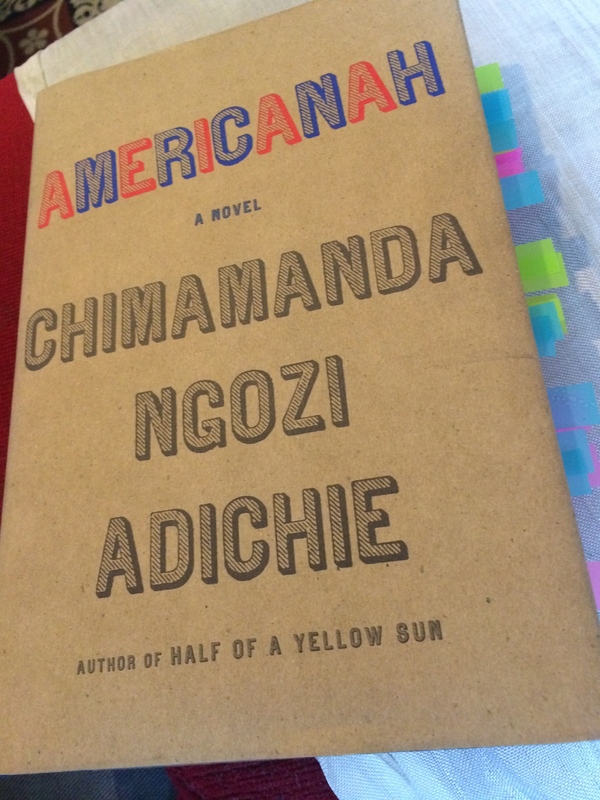 I urge you all to give Americanah a try and to check out the video below of Adichie speaking about the dangers of the single story on TEDTalks. Brilliant!